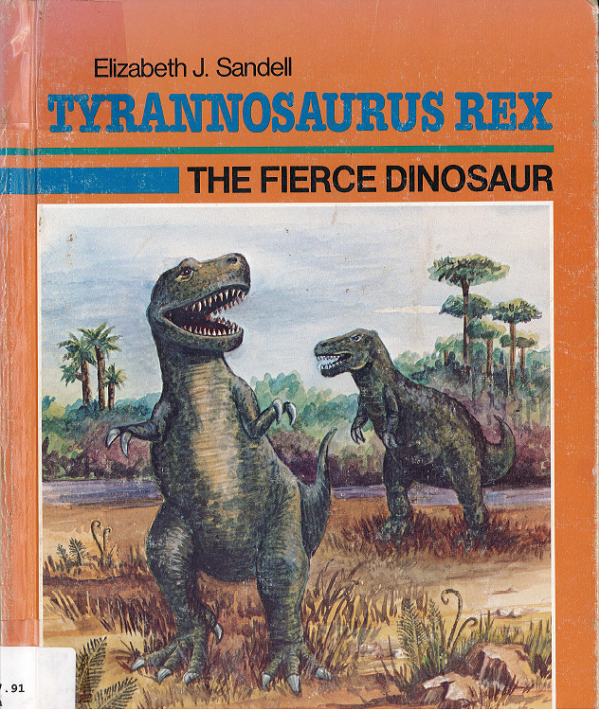 Submitter: I recently found this severely outdated book about the “ferocious” Tyrannosaurus Rex in the collection of the public library where I work. 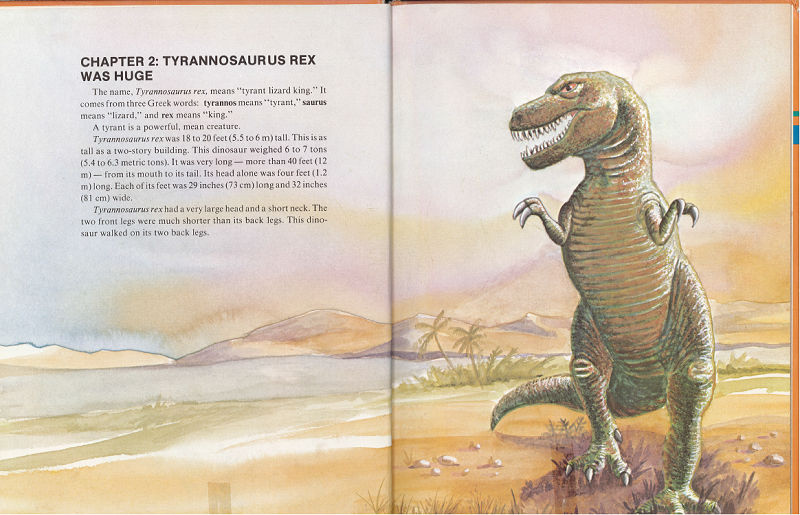 It’s from 1988, making it old enough that the king of the dinosaurs is depicted as walking upright like a person in a T-Rex costume. Only when he’s examining footprints on the ground does he use his tail for balance. Also good for a laugh: the Triceratops goring the offended-looking T-Rex in the thigh, and the misshapen baby T-Rex with the double chin. Holly: This one could definitely be updated. 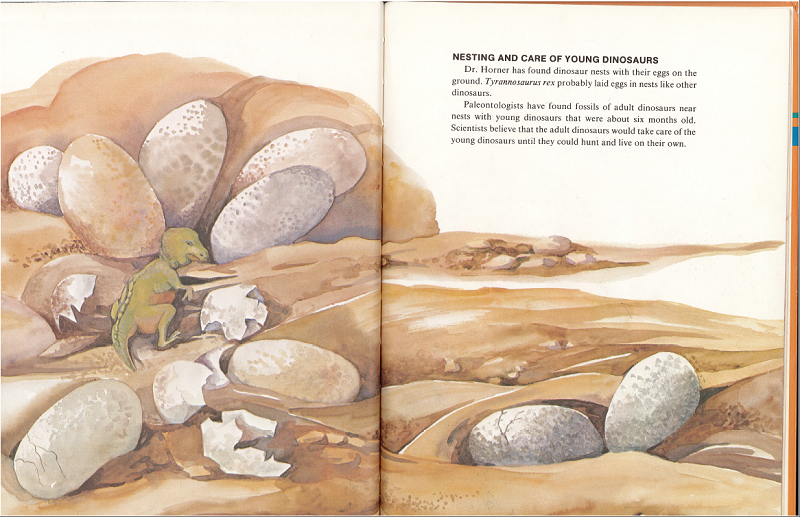 Kids love dinosaur books, so librarians may be favoring quantity over quality. If the science is incorrect, though, let’s give kids something more accurate. I’m no dinosaur expert, but I do know that 27 years is a long time in any science discipline. 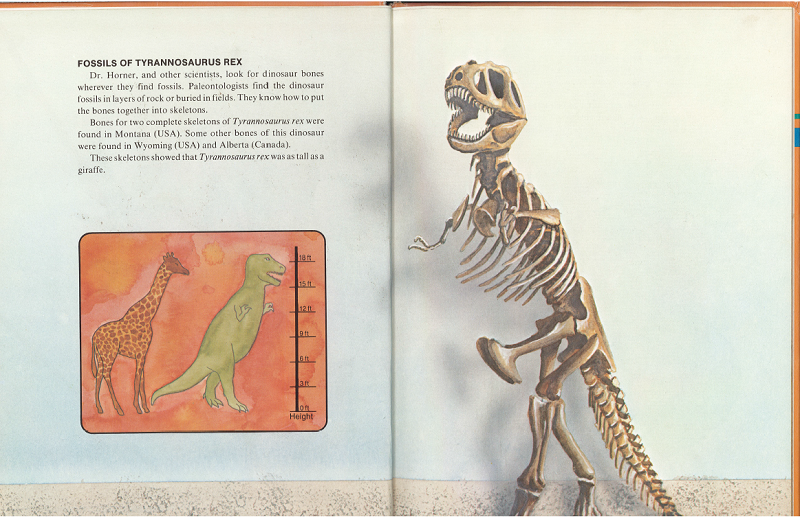 There are lots of great dinosaur books for kids published every year, so it can easily be made a priority for updating every five years or so. Maybe even ten years, but definitely not 27! 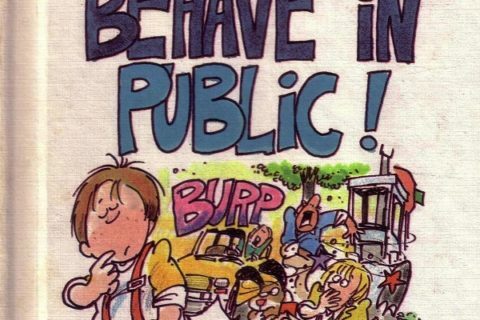 wow, I used this book in the second grade. We had to make window box diagrams on dinosaurs. 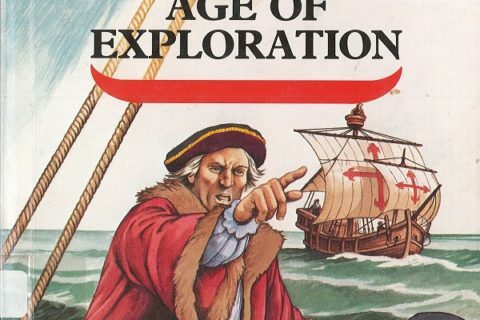 I don’t know, he looks rather jolly on the front cover. This book is indeed outdated. It probably still calls the apatosaurus a brontosaurus. Although it does put to rest the old belief that dinosaurs were dim-witted because of their tiny brains. I like the “Dude, cut it out.” expression on the T-Rex’s face when he’s getting gored by the the Triceratops. I love dinsosaurs, 7-year-old me would most definitely have checked this one out, probably more than once! 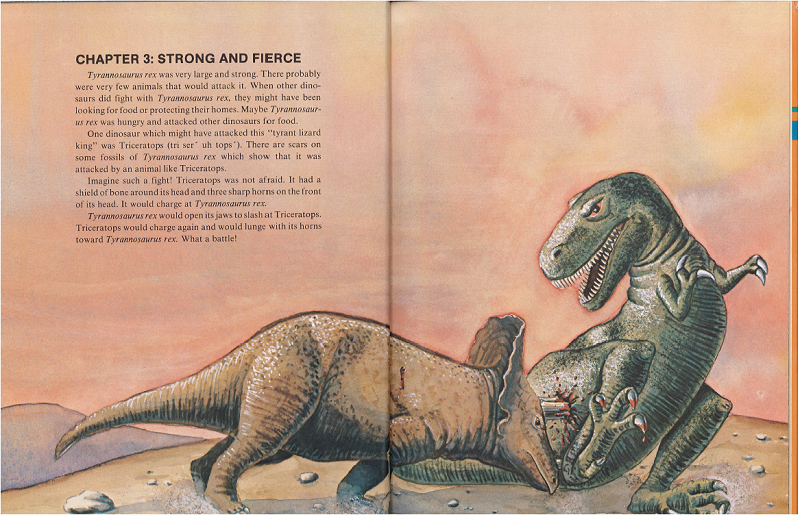 It was obligatory for dinosaur books to have a T. rex-vs-triceratops fight scene. Maybe it still is. Although I think I’ve heard they now believe T. rex did more scavenging than hunting. 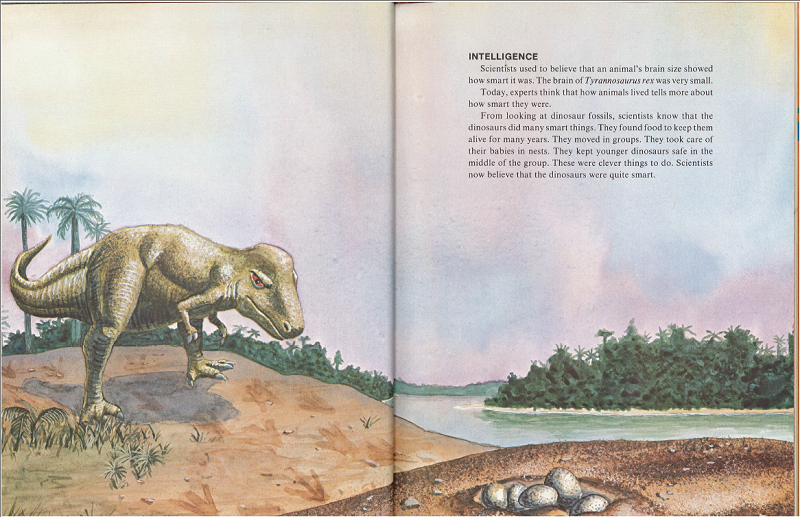 Although this book is from 1988, and the term ‘apatosaurus’ is apparently no longer used, I don’t see how else this book would now be considered outdated, as dinosaurs existed thousands if not millions of years ago. They’re pretty sure dinosaurs were feathered. Also wasn’t there a whole thing where they stuck a dinosaur head on the wrong body? Lots of stuff can change about what we KNOW. The earth has always been round, but we used to believe it was flat, and books that say the earth is flat are outdated. If you think that’s bad, I was at my public library last week and found a book on dinosaurs by Ken Ham, who runs the creationist museum in Kentucky that’s been in the news lately. It goes on and on about how dinosaurs lived only a few thousand years ago and says that before Adam and Eve disobeyed God in Eden all animals including T. Rex were plant eaters. At least they filed it in the religion section instead of science. 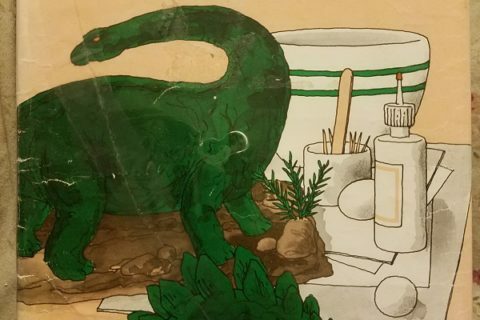 I was born in 1988, and I was a big dinosaur nerd as a kid. 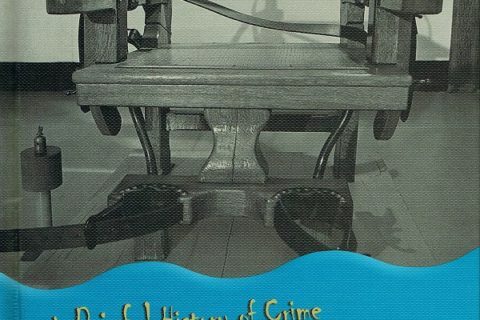 This book would have seemed weird and old to me even then!